When it comes to troubleshooting design and fabrication issues or building custom light fixtures from virtually any material, Nate Anthony is your guy. A Hammerton artisan for nine years, Nate possesses an exhaustive knowledge of materials, processes, equipment and more. He’s a passionate team member who stays busy making sure our product development initiatives constantly move forward. Nate’s extensive skill set and knowledge of Hammerton’s shop processes includes conceptual sketchwork, CAD design, running CNC equipment, designing and building jigs and tooling, metal and glass fabrication, powder coating, electrical and final assembly, and more. This variety is precisely what Nate enjoys most about his work. He loves being an integral part of the creative process and bringing design ideas to life. Originally from Woodstock, Ga., Nate moved to Salt Lake City in 1999 to attend the University of Utah. Prior to joining Hammerton, Nate was a restaurant server at Snowbird, Utah, a “professional snowboard bum,” and the owner of a seasonal small business that hung Christmas lights and installed landscape lighting. Outside of work, Nate enjoys spending time with his wife of almost 11 years, gardening, raising chickens and beekeeping. Nate coordinates a 1/4 acre community garden in downtown Salt Lake City, and for the last two years their home has been on the Salt Lake City Tour de Coops. This event highlights the importance of urban agriculture and promotes the proper care of backyard chickens for egg production. An avid outdoorsman, Nate enjoys include fishing, hunting, hiking, mountain biking and snowboarding. Even in his spare time, Nate likes building and tinkering. For the past six years he has rented a shop where he works on public art installations, furniture, home decor pieces, mechanical inventions and even custom mini bikes and road buggies. You might catch Nate at this year’s Bonneville Off-Road Racing event in Nevada, but in the meantime, take a look at the gallery above to view Nate at work on an upcoming Hammerton Studio product release. Each Hammerton fixtures tells a story about the artisan who crafted it, and this could not be any more evident than with the pieces produced by one of Hammerton’s lead artisans – James Dean. With a passion for history, heritage and handcraftsmanship, James cringes at the thought of anything less than authentic. One of his favorite pastimes is evidence of this: he is an avid participant in Mountain Man Rendezvous gatherings throughout the West. These wilderness excursions give James the opportunity to exercise his metalworking and sculpting skills while stepping back in time and relying solely on the tools of his hunting and gathering predecessors of the 19th century. In his day-to-day life, James even prefers what most of society would consider primitive forms of communication: “I don’t use a cell phone, and probably never will,” he has said. 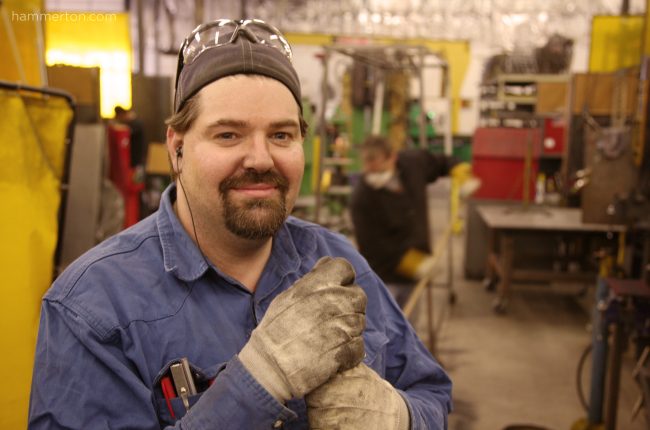 Born and raised in Salt Lake City, James was first introduced to metalworking in shop class. Before Hammerton, he fabricated .22 pistols for Browning. Ultimately, his passion for authentic design and craftsmanship led him to the lighting world. James was one of the first artisans hired by Hammerton, back when the business outgrew its original shop in a residential garage and expanded beyond its two founders. 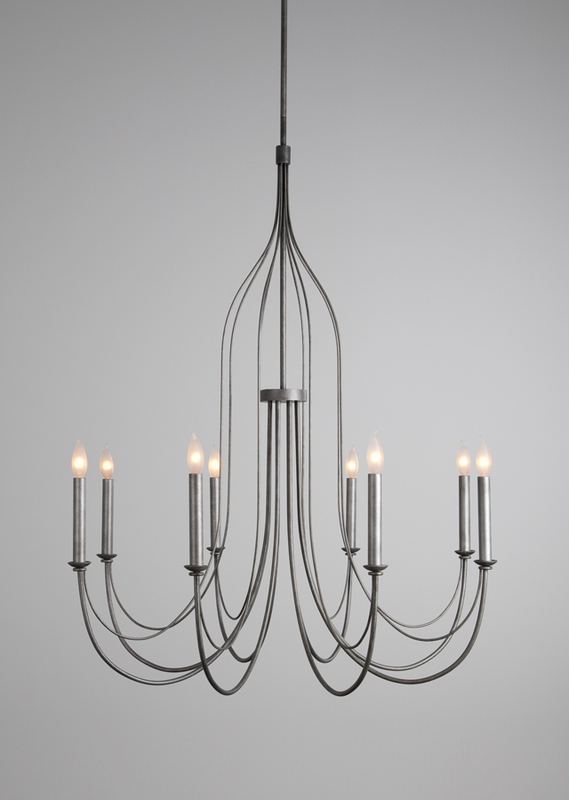 Today, he’s been producing authentic light fixtures for Hammerton for over 13 years. His mastery, artistry and enthusiasm for the craft are undeniable. 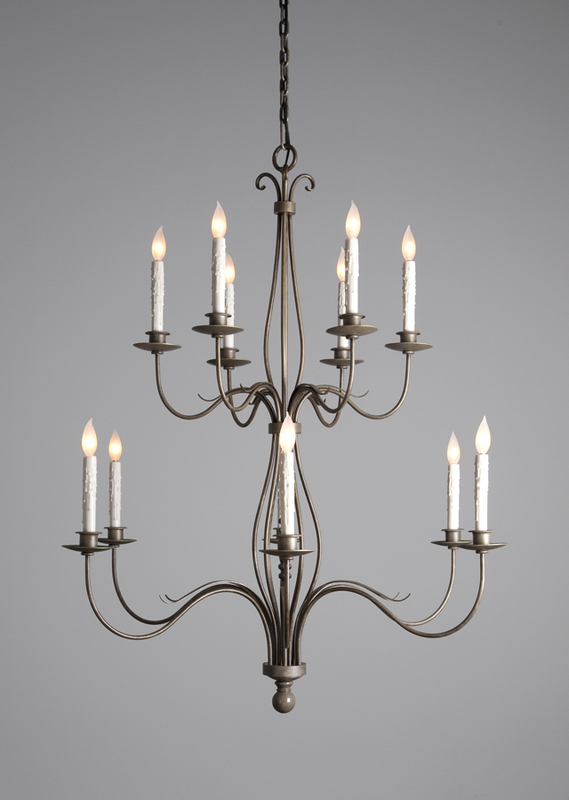 His “authentic” approach to life is translated into each Hammerton fixture he crafts. While James can make anything (and we really mean anything) out of metal, he really shines when it comes to the defining details of a fixture. He’s also known for his jig making and large-scale custom fixtures. James recently fabricated five 13′ sentry pendants for the 3-story entry hall of a Las Vegas residence. Take a look in the gallery above to see James in action.